All of our old content and blog posts are over there, but the exporting/importing process was a little rough, so some of the posts are missing pictures and other media. I am slowly working on cleaning it up, but for now, know that that is our new website. I had every intention of regaling you all with our Christmas exploits. The decorations were just the beginning. Our city holds a Christmas festival every year, Christmasville, and I wanted to share how much fun it was, especially for our four year old. I wanted to talk about Andrew Peterson’s Behold the Lamb of God Christmas concert that has become a tradition for our family. I even wanted to talk about how awesome the new Star Wars movie is. I wrote, back in October, about how God is telling a bigger story. It’s not just our story that is being written but also that of the team and the ministry at MTSU (and, ultimately, it’s God’s story). It seems that the story has ended, or at least the chapter has. The team that was working there and those of us who were still working towards that goal are now being redirected elsewhere. For us that means our goal is no longer the city but now the mountains of West Virginia. Marshall University is our new assignment. We have mixed feelings about the change, but they’re mostly positive at this point. Marshall is, in many ways, very different than MTSU. It’s a smaller school, both in size and student body. The student demographic is different as well. Most of them are from in state and many of them are first generation college students. While MTSU had a lot of music majors, Marshall has a great forensic science degree. But there are similarities too. The main one being that they, just like every college student ever, wrestle with questions of identity. Who they are. Why they are here. What they are going to do for the rest of their lives. And what does God have to do with any of this? And that is why we’re growing more excited about this change every day. For some people, God gives them a heart for a specific place. But for Brandi and I, God gave us a heart for college students. It doesn’t really matter where, just as long as we can come along side them and help them figure out the answers to those questions. So, that’s what’s new for us. 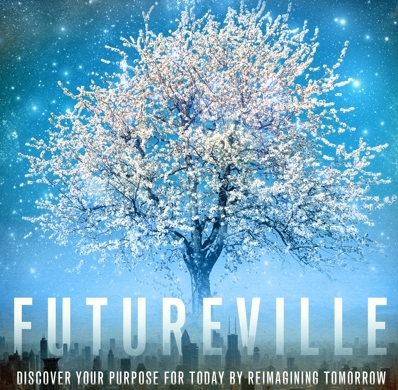 I recently finished reading Skye Jethani’s “Futureville” and found it excellent food for thought. As I read this I thought about Paul’s exposition on callings (especially in 1 Corinthians 12) and how it is compared to a body. A body NEEDS diversity to thrive. The best thing for blood to do is circulate; the best thing for bones to do is be immovable; the best thing for skin to do is cover and be covered. We can’t put these functions into a hierarchy because if any of them ceases to function in its manner we cease to function as well. If my bones are on the outside and my skin is circulating and my blood is immovable – I am dead (and dismembered). So why do we try to do this in the BODY of Chirst, that is the church. It doesn’t really matter what your calling is, it matters that you do it with excellence. Your calling might not look “spiritual” but that doesn’t mean it isn’t essential – you aren’t an appendix. My internal response is usually, “I thought so, too”, but my external response is usually to fumble through some explanation about how our ability to BE in Tennessee is dependent on reaching a state of being “fully funded”. What we will be doing in Tennessee is working with college students to help them navigate questions of identity, purpose, and who God is in the midst of it all. In order to be able to devote our full-time effort to being there our paychecks (and all of our work expenses) are essentially crowd sourced by people & organizations that think what we are doing is important and want a piece of the action (most missionaries and, truthfully, most non-profits also get their funds this way). Instead of a few individuals being paid to just raise these funds for the whole organization we get to be on the frontlines of both fund raising and impacting college students. And, yes, this can be daunting, and sometimes we do wish we could skip this step, but we know it is good and we really do enjoy being directly connected to a tribe of people who value what we do enough to be a part of it. So the answer to when is simply when each of those silhouettes “becomes” a person or organization who is committed to regularly giving so that we can focus on impacting the campus of Middle Tennessee State University.